Michael “Mike” Mollitor, 52 yeard old died Monday, April 30, 2007 at his home in CooperTownship. Mike was born June 14, 1954 in Plainwell, the son of Bob Stratton and Violet Mollitor. Mike enjoyed writing music and singing, he was an accomplished guitar player. He also enjoyed fishing, going to races and playing catch. Mike attended Plainwell Assembly of God and Friendship Wesleyan churches. On December 23, 1978 in Plainwell Mike married Rhonda Jeffries, who survives. Also surviving are his children, Lisa (Shane Rogers) Mollitor, of Plainwell, Michael (Courtney Gordon) Mollitor, of Kalamazoo; his parents; brothers, Bob (Linda) Mollitor, Bill (Lynn) Mollitor, Jeff Mollitor and Joe (Angela) Mollitor all of Plainwell, his mother-in-law, Wanda Hageman; sisters-in-law, Brenda (Haywood) Beazley and Teresa (Steve) LaFountain; 3 special friends who are like brothers, Doug Wine, Lynn Waterman and Brian Kincaid; and many nieces and nephews . Mike was preceded in death by his step-father Bill Mollitor, a nephew Tom Beazley and his father-in-law Jim Hageman. Friends may meet the family from 2 to 4 and 6 to 8 P.M. Thursday at the Winkel Funeral Home in Otsego where services will be held at 1:00 P.M. Friday, Pastor Dave Alderman and Pastor Kevin Smith officiating. Burial will follow at MountainHomeCemetery. Donations in memory of Mike may be made to the American Cancer Society. Willis “Bill” J. Bouwman, 80 years old, of Allegan died Sunday, April 29, 2007 at his home. Mr. Bouwman was born February 13, 1927 in Saugatuck, Michigan, the son of Henry and Lucy (Thomas) Bouwman. Mr. Bouwman was a member of Dunningville Reformed Church and had a strong love for the Lord, he enjoyed woodworking and gardening. On December 13, 1950 in Zeeland, he married Esther Schrotenboer who survives. Mr. Bouwman retired from Perrigo in Allegan. Mr. Bouwman is survived by his: son Garry (Diane) Bouwman of Allegan, grandsons; Willis (Esther) Bouwman of Portage and Chad (Megan) Bouwman of Allegan, great grandsons; Spencer and Shane, sister, Millie Slayer of Douglas and by his sisters-in-law; Guyla Bouwman and Ann Bouwman. He was preceded in death by his parents and by 11 siblings. Cremation has taken place, a private graveside service will be held at East Saugatuck Cemetery. In lieu of flowers memorial gifts may be made to Wings of Hope Hospice, envelopes are available at Winkel Funeral Home in Otsego. 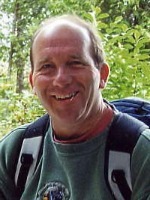 James “Jim” E. Monroe, 65 years old, died Saturday, April 28, 2007 at his home in Otsego. Mr. Monroe was born September 1, 1941 in Plainwell, Michigan, the son of Merwyn and Helen (Moore) Monroe. When James was 17 years old he began working with sheet metal for Bel-Air making duct work for heating and cooling systems. He remained in the same business until 2002 when he retired from VanDyken Mechanical in Grand Rapids. He enjoyed old cars, road trips and working on a wide variety of projects. James married Carol Murfield, who survives, in 1992 in Plainwell. Also surviving are his sons; Joe (Jennifer) Monroe of Plainwell, Andy (Theresa) Monroe and their daughter Calla of Georgetown, KY and Michael Monroe of Otsego, and his sister Marion Wall of Comstock and brother Dan Monroe of Parchment. 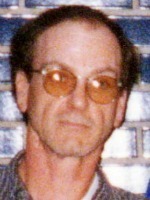 James was preceded in death by his parents and by his brother Terry Monroe. Cremation has taken place, a private memorial service will be held at a later date. In lieu of flowers memorial gifts may be made to the American Lung Association, envelopes are available at Winkel Funeral Home in Otsego. 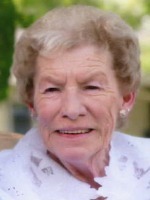 Betty J. Kenyon of Plainwell, Michigan, died Monday, April 23, 2007 at her home. Mrs. Kenyon was born December 31, 1930, in Plainwell to Lyle and Gladys (Null) McKibbin and was a lifelong resident of the area. Betty was a graduate of Otsego High School. For 40 years she was employed with Plainwell Paper Co., retiring in 1992. On August 25, 1956, in Otsego she married Alanson ‘Al’ Kenyon and they had celebrated 50 years of marriage. Surviving in addition to her husband are a daughter, Jackie (Dave) Dutton of Otsego; a step-son, Al (Karen) Kenyon of Delton; a son-in-law, Joe Santos of Kalamazoo; many grandchildren, great-grandchildren, great-great-grandchildren; two brothers and a sister, George McKibbin of Kalamazoo, Becky (Jessie) Saucedo of California and Jim McKibbin of Detroit; many nieces and nephews. Betty was preceded in death by her parents; two daughters, Sally (Rex) Girling and Bonnie Santos; and four sisters, Ruth Ann Soloman, Lila DeKilder, Bonnie Clark and Ida Bell Roberts. In keeping with her wishes cremation has taken place. A memorial service will be held at 11:00 A.M. Friday at the First Congregational Church of Otsego, Rev. Mark Minegar officiating. Contributions in memory of Betty may be made to Wings of Hope Hospice or the American Cancer Society. Patricia Ann ‘Pat’ Newman of Lubbock, TX (formerly of Otsego) died Thursday, April 19, 2007 at a hospice care facility in Lubbock. Pat was born March 1, 1936 in Otsego, MI to the late Raymond and Marian (Drew) Linsley. She grew up in Otsego and worked for Parker-Hannifin in Otsego and was transferred to Portland and Los Angeles. After 18 years Pat began working for PFS/Ameriserve and had worked there for 12 years. In 1999, Pat became a private consultant traveling all over the United States. 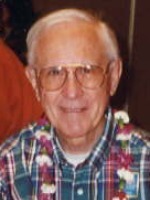 Pat retired in 2001 while living in Lubbock. Pat enjoyed bowling, golf, bingo and spending time with family and friends. She was a volunteer for the Christian Women’s Job Corps and was a member of the CBS Bible Study Group. She is survived by her children, Ann (Jerry) Smith of Lubbock, TX, Gary Lee Filkins of Plainwell, MI and Calvin Ray Newman of Alamo, MI; a brother, Harold Linsley of Shelbyville, MI; sisters, Eleanor Horrocks of Kalamazoo and Nellie Pegg of Otsego; five grandchildren; two+ great-grandchildren and several nieces and nephews. Pat was preceded in death by her brother Virgil Linsley and by a sister Darlene Cox. A memorial service will be held at 1pm on Sunday, May 27th at the Winkel Funeral Home, Otsego, MI, with Jerry Smith officiating. Following the memorial service friends are encouraged to meet the family for a time of fellowship at the Otsego Scout House. Memorials may be made to the Christian Women’s Job Corps, 2201 Broadway, Lubbock, TX 79401. Mrs. Bobbi Doris Long, Lorenzo Alexander Mayfield II and Johnathan Anthony Mayfield died Monday, April 16, 2007 in Kalamazoo. 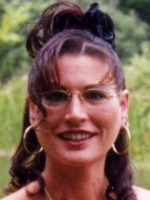 Bobbi was born January 5, 1975 in Plainwell to Wayne and Doris (Syers) Long. She enjoyed people and waitressing at Derk’s Restaurant and Subway Restaurant in Kalamazoo. Her favorite leisure activity was writing poetry. Bobbi loved her children. Surviving are her daughter, DeVonna Mayfield of Kalamazoo; her mother and step-father, Doris and Robert Paradine of Allegan; her father and step-mother, Wayne and Joyce Long of Cedar Falls, NC; two brothers, John and Art Long, both of Greensboro, NC; step-brothers, Robert Paradine of Las Vegas and Andrew Paradine of Shelbyville; a step-sister, Jennifer Paradine of Parchment; additional step-brothers and sisters, Kathy Craven, Lisa Ellege, Karen McCleod, Angel Tate and Wayne Lamb; grandparents, John and Darlene Syers of Otsego; many aunts, uncles and cousins. Lorenzo was born September 29, 1996 in Plainwell to Lorenzo and Bobbi (Long) Mayfield. He was a 5th grader at Milwood Elementary School. Johnathan was born July 22, 1998 in Plainwell to Lorenzo and Bobbi (Long) Mayfield and was in 3rd grade at Milwood Elementary. The boys enjoyed video games, playing outside, reading, baseball, basketball, foosball and air hockey. 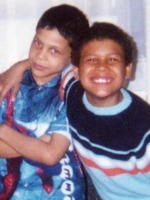 They were happy children and were always smiling. Surviving are their father, Lorenzo Mayfield and his fiancé, Simone Clark of Kalamazoo; their sister, DeVonna Mayfield of Kalamazoo; grandparents, Bennie Mayfield of Grand Junction, Doris and Robert Paradine and Wayne and Joyce Long; great-grandparents, Bennie and Bertha Mayfield of Grand Junction, John and Darlene Syers and Bob and Jan Rustinholtzs; 2 uncles, Lenell Mayfield of Atlanta, GA and Lonnie Mayfield of Miami, FL; several cousins. They were preceded in death by their grandma, Helen Mayfield. Cremation has taken place. Friends may meet the family from 2 to 4 and 6 to 8 P.M. Tuesday at the Winkel Funeral Home, Otsego, where a memorial service will be held at 11:00 A.M. Wednesday, Pastor Jack Eitelbuss and Art Long officiating. Burial of ashes will be at Mountain Home Cemetery, Otsego. In loving memory of Bobbi, Lorenzo and Johnathan in lieu of flowers there is a memorial fund set up for DeVonna Mayfield at Otsego Paperworkers Credit Union, 248 N. North St., Bldg #3, Otsego, MI 49078. 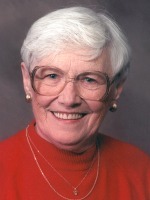 Selma “Sally” Pickett, 92, of Otsego died Thursday, April 12, 2007 in Plainwell. Mrs. Pickett was born March 21, 1915 in Charleston Twp. MI to Lou and Alice (Wiley) Draper. Mrs. Pickett had eight children and was active in the P.T.A., was a Girl Scout leader and had sold Avon for 13 years prior to being employed by J.C. Penney for about 10 years. She was a member of the Otsego Church of God and was very active in many ministries of the church, she enjoyed gardening and sewing and was skilled enough that she used to hand make clothing for her daughters. On August 15, 1934 in Oshtemo she married Ralph Hubbard Jr. who died in 1979. Mrs. Pickett was married to Rev. Clifton H. Pickett on February 16, 1968 at the Church of God in Otsego. Rev. Clifton H. Pickett died in 1988. Surviving are her children, Robert (Jan) Hubbard of Constantine, Barbara (Ron) York of TX, Linda Browning of Otsego, Marilyn (Dan) Pagel of Comstock Park, Dotti (Ed) Toumanian of CA, Susan (Wayne) Muha of Dowagiac and Diane (Jerry) Muha of UT; her step-children, Alma (Jim) Bradshaw of Belmont Park and David (Ellen) Pickett of Otsego; and her daughter-in-law, Betty (Pritchett) Allen. Survivors also include over 30 grandchildren, over 40 great-grandchildren, 4 great-great-grandchildren and her sister, Bobbie Miller of AZ. Preceding her in death was her daughter, Patricia Curvey; step-son, Raymond Pritchett; grandson, Ronald Hubbard; and her brother, Melvin Draper who died in WWII. Friends may meet the family from 2 to 4 and 6 to 8 P.M. on Monday at the Winkel Funeral Home in Otsego. Funeral services will be held at 11:00 A.M. Tuesday at the Otsego Church of God, Pastor Tim Secord officiating. Burial will follow at Hillside Cemetery, Plainwell. 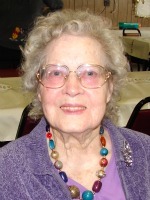 Contributions in memory of Sally may be made to the Church of God building fund. Mark Howard Camp of Kalamazoo, Michigan. My husband and I , (Karen Sue Camp), were married for 31 years. We exchanged vows on April 9, 1976 in Kalamazoo. During our marriage we were blessed with three children; Joel Allen, Eric William and Jessica Renee Camp. In June 2005, Joel married Brooke (Joyce) Camp, and their son, Nolan Jon Camp was born on June 25, 2006. In September 2005, Eric married Amber (Peet) Camp. Both of these young women have been a welcome addition to our family, and I compliment our sons on choosing well. Both of our sons followed in Mark’s footsteps by choosing pipefitting as their trade. Jessica is a Heyl Scholarship recipient, completing a Bachelor’s Degree in nursing. Our children and daughters-in-law were at our side throughout Mark’s illness; Nolan was a special gift. Mark was born on March 12, 1955. He grew up and attended school in the Otsego area. Baptized on December 8, 1957, he was a life-long member of the Twin Lakes Reformed Church. His parents are Bud (Leonard) and Katherine Ekema. His oldest brother is Tom Camp, married to Kathy (Miller) Camp. He has a younger sister, Marcia (Ekema) Kiel, married to Tom Kiel, and a younger brother, Len Ekema. There are several nephews and nieces; Carrie (Camp) Whelan, T.J. Camp, and Matt, Tim, and Jennie Kiel. We thank God for the life of Mark. Just as we received his life as a gift of love from God, may God also help us to accept his death as being given from Christ’s perfect heart of love. Friends may meet with the family from 2 to 4 and 6 to 8 P.M. Monday at the Winkel Funeral Home, Otsego, MI. Private interment will be at Alamo Center Cemetery. A memorial service will be held at 7 P. M. Tuesday at Twin Lakes Reformed Church, Rev. John Haas officiating. Those desiring may make memorial contributions to Twin Lakes Reformed Church. Harvey M. ‘Mick’ Jensen of Otsego, Michigan, died Wednesday, April 4, 2007 at his home. Mick was born November 7, 1946, in Grand Rapids to Edward and Margaret (Good) Jensen. During the Vietnam War he served in the U.S. Army in Germany. He owned the Windjammer Lounge in Otsego for approximately 15 years. Prior to that, he and his parents co-owned Barry Cleaners in Hastings for 14 years. Mick was a member of the Otsego Moose Lodge #345 and for 22 years was a member of the Otsego Elks #1711 B.P.O.E.. He enjoyed golf, a good meal, his many good friends and was a good friend in return. Mick always enjoyed a good laugh. Mick will be deeply missed by his sister, Denise (Gary) Sironen of Grand Rapids; his niece, Rachel of Grand Rapids; and by several aunts, uncles and cousins. Friends may meet the family beginning at 10 AM Saturday at Christ Lutheran Church, 2350 – 44th St. SW, Wyoming, Michigan until the service time at 11 AM. Interment will be at Rosedale Memorial Park, Standale. In lieu of flowers, contributions in Mick’s memory made to the Elks Major Project (for Crippled Children) would be appreciated. Winkel Funeral Home, Otsego. 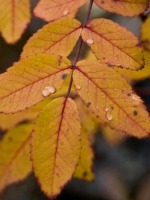 Frank J. Lassen of Kalamazoo, Michigan, died Tuesday, April 3, 2007 in Kalamazoo. Mr. Lassen was born August 3, 1920 in Lapeer, Michigan, the son of the late Frank C. and Beatrice Lassen. After graduation from high school in 1939, Frank moved to Royal Oak. He was a U.S. Army veteran of WWII serving in the 12th Army Postal Headquarters in the European Theatre of Operations. He received a European Theatre of Operations ribbon with four bronze stars for participating in four European Campaigns, Northern France, Ardennes, Rhineland and Central Europe. After his service in the U.S. Army, Frank attended Kalamazoo College and the University of Detroit, graduating from the University of Detroit in June 1949 with a Bachelor of Science degree in Accounting. On June 15, 1946, Frank married the former Nina E. Luttenbacher. In October 1982, Frank retired from Fruehauf Corporation in Detroit, Michigan after 33 years in Accounting and Auditing. Shortly thereafter, Frank and Nina moved to Kalamazoo to be close to their daughter, Julie. Frank was a member of the Fellowship of Christian Magicians and had a ministry in youth groups and nursing homes in the local area. He was also a member of the First Baptist Church of Plainwell. Surviving are his wife Nina and daughter, Julie Horton; also, one brother, Donald C. (Virginia) Lassen of Zionsville, Indiana; and two sisters, Marjorie Auclair of Florida and Shirley Clark of Oklahoma. Friends may meet the family from 4 to 6 P.M. Saturday at the Winkel Funeral Home, Otsego. Funeral services will be held at 11:00 A.M. Monday at the First Baptist Church of Plainwell, Rev. Keith Heyn officiating. Burial with Military Honors at Fort Custer National Cemetery, Augusta will be at 2:30 P.M. Monday. Memorial gifts may be made to Kalamazoo Youth for Christ.